Cam and I have been photographing the Hlushko family over the last few years- even before they were a family! 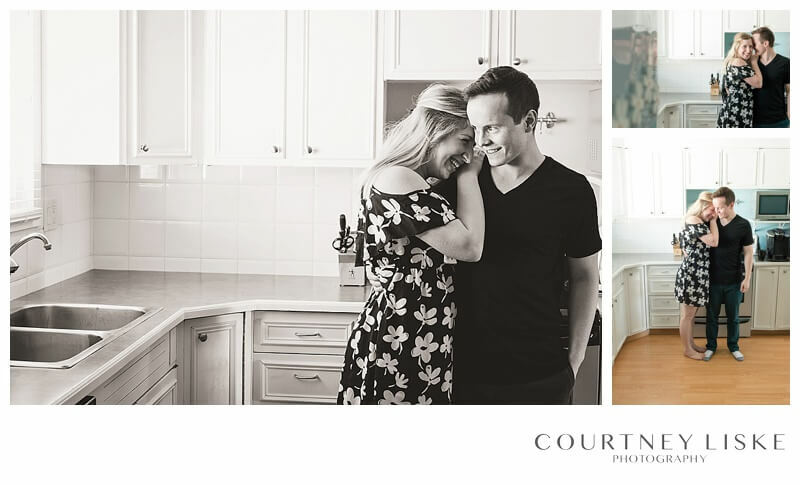 We had the honour of doing Brian & Jacey’s engagement and wedding photography. After that, we got to help them capture a winter baby announcement. Last fall, I met their beautiful little girl who had clearly stolen their hearts. 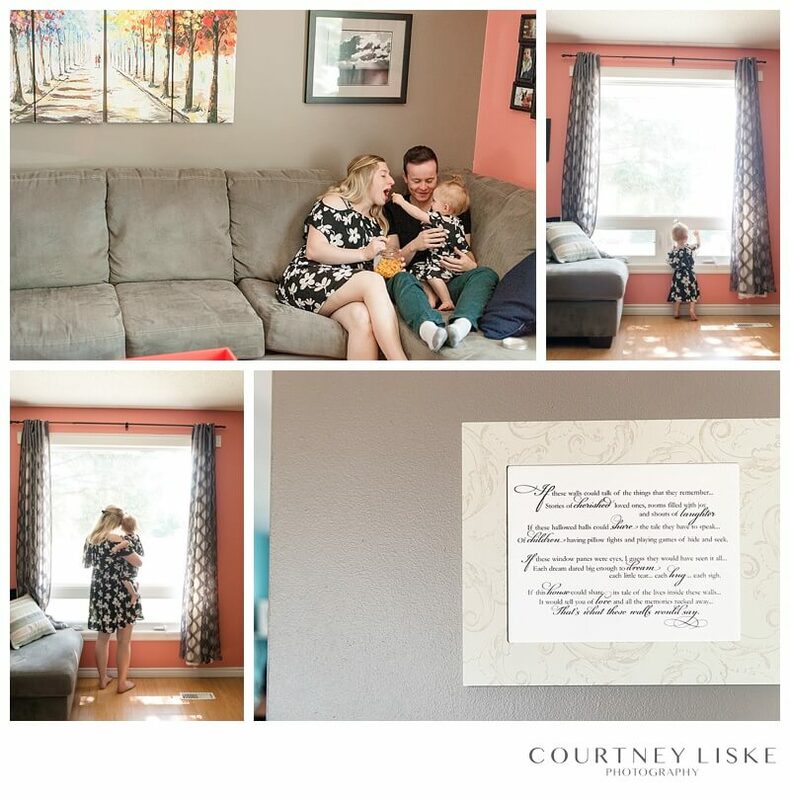 This week, Cam and I got to join the Hlushko family in their home. 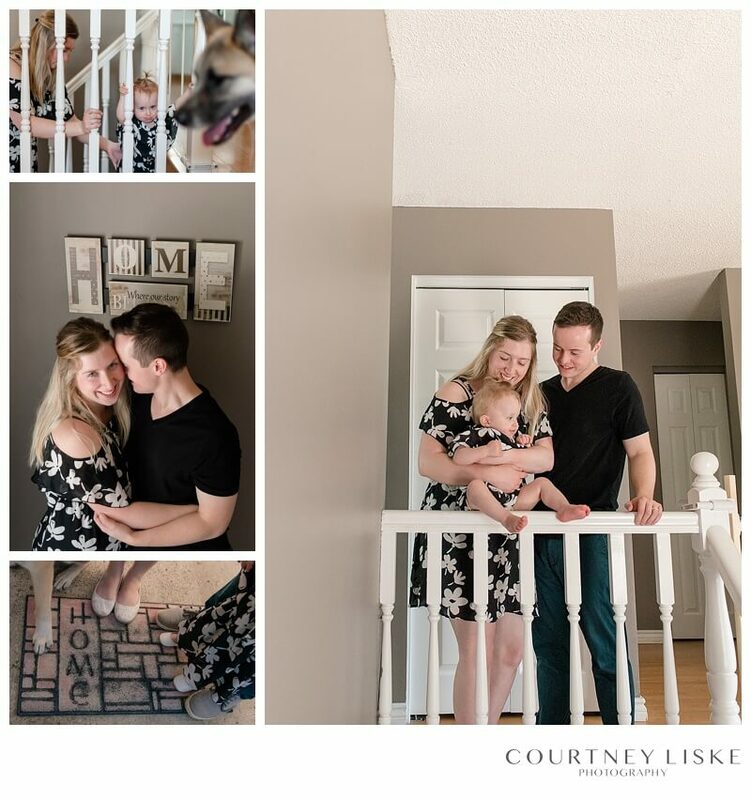 They are preparing to sell their home, and asked us to come in to do a family session in their house before they move. You guys- it was AWESOME! 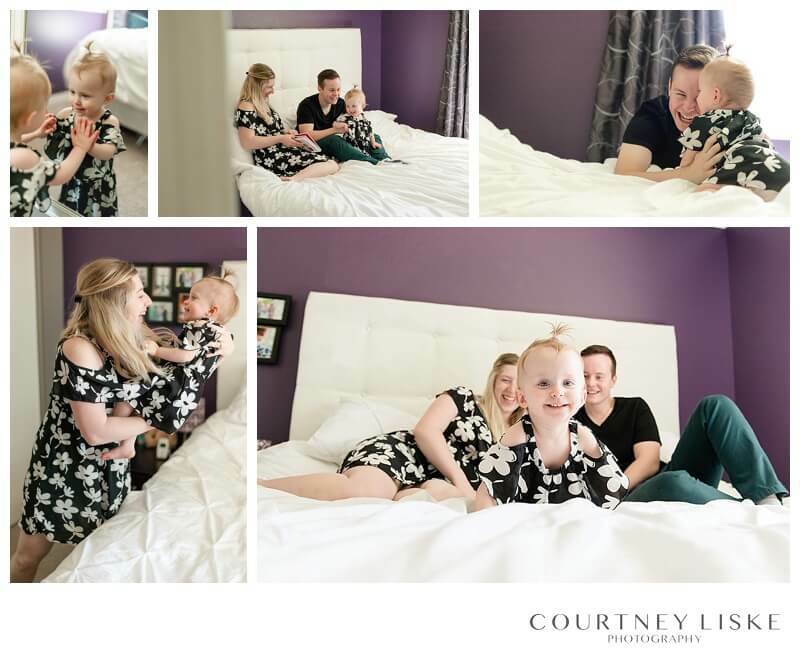 Obviously, we love photography, which is why we keep shooting with amazing families. Another huge reason, is that we love to be able to get to know and serve people using our gifts. It honestly chokes me up when I think of the relationship we’ve had with Brian and Jacey. We have walked with them through some momentous occasions in their liwves. We met them when they were engaged, got to witness their beautiful wedding, and then saw them on their journey into parenthood. 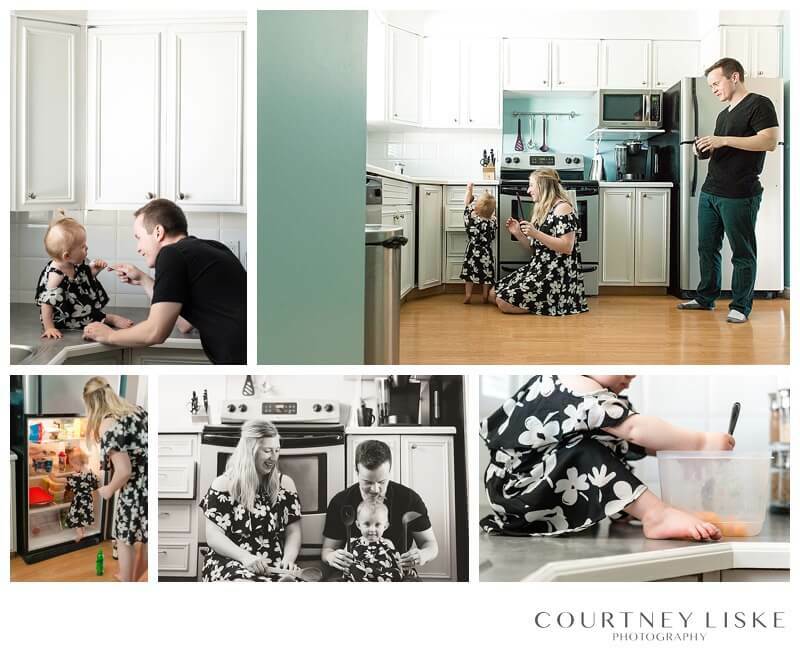 It is an absolute honour to capture these precious memories, and a privilege that we don’t take lightly! I really enjoy giving our families a task to do together, so they can just be themselves and hopefully forget about us for a while. We wanted to capture the Hlushko family in their natural environment, doing what they do on a regular basis. I’m not sure if matching mother & daughter dress outfits are a regular thing in their house, but c’mon, HOW ADORABLE! Here are some of the shots we got of them just being them- and I am IN LOVE with these. 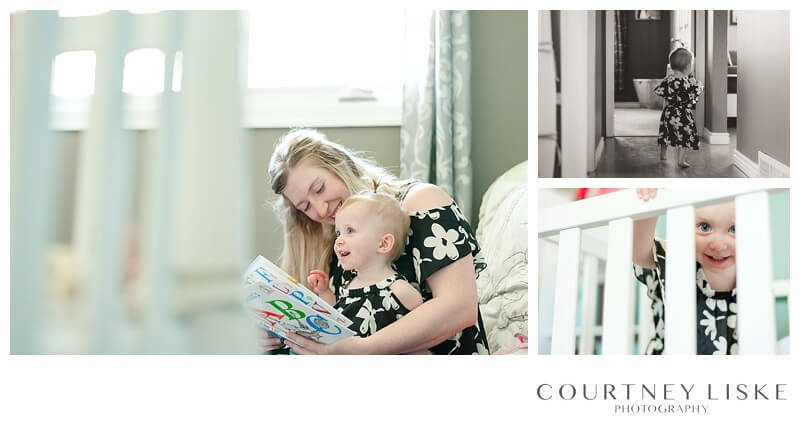 Some very special moments were captured- including photos of Jacey & Olivia in their front window, the very place where Jacey stood in her dress on their wedding day almost 3 years ago. Brian & Jacey, thank you for allowing us to come into your home, but more importantly, for welcoming us into your lives. We are so thankful for the time we’ve been able to spend with you, and enjoy each and every session. Cam and I wish you all the best with the move, and everything that comes with it. Side note- if anyone is looking for a great house, I have some people you should talk to!